Plaid Pattern helps hide stains! 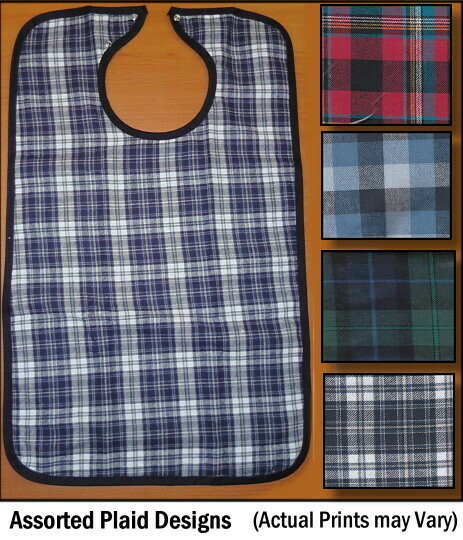 This fashionable cotton flannel bib provides a full vinyl backing for added clothing protection. Full waterproof vinyl barrier on back for additional clothing protection.